Luxury and seclusion blend perfectly in Turks and Caicos. Just 400 miles southeast of the Bahamas, you’ll find an unspoiled island chain known for year-round sunshine and 230 miles of mesmerizing beachfront. Dive into the Turks and Caicos’ history of piracy or right into the water for some of the world’s best diving. The memories made here will resonate the electric-blue water of Chalk Sound and the taste of fresh seafood. Let the relaxation begin! Turks and Caicos is more than just a tax haven—it’s one of the few places in the Caribbean where you can still find truly unspoiled beaches and complete serenity away from the crowds. The coral island chain spans 948 square miles across 40 islands (only eight of which are inhabited) and is accessible via boat and three international airports. 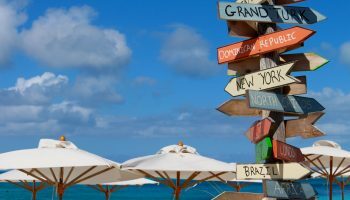 The best way to get around the island is via rental car, as there’s no public transportation and taxis add up quickly—just prepare to drive on the left side of the road, as Turks and Caicos is a British Overseas Territory. The islands experience 350 days of sunshine—even with hurricane season running June through November. Turks and Caicos make an easy vacation destination for US travelers as English is the official language and USD the official currency. The Caribbean islands’ already-high prices are even higher during peak season, December through March; Visit April or May for slightly more affordable accommodations. Turks and Caicos’ diverse islands have everything you need, from ritzy beach resorts to natural beauty both above and below sea level. In addition to being surrounded by the world’s third-largest Barrier Reef, the Turks islands are separated from the Caicos islands by the 7,200-feet-deep Turks Island Passage, only adding to the Caribbean nation’s appeal for divers. With the world’s only commercial conch farm, it’s no wonder these islands are loved for delicious fresh seafood. Providenciales, or “Provo” as the locals call it, will most likely be your base in Turks and Caicos as the majority of beach resorts are here. Not long ago, Provo was all salt flats, but now it’s the heart of tourism for Turks and Caicos. The swimmable waters, low skyline and plethora of beach hotels on beautiful Grace Bay Beach make it easy to understand why this place can’t help but draw more than a million tourists annually. You’ll find boutique hotels perfect for a romantic getaway and all-inclusive resorts with something for even the youngest member of your family. Spend your time in Provo diving, fishing, hiking or simply lounging on expansive Grace Bay Beach. A part of Princess Alexandra National Park, Grace Bay Beach has plenty of room for you to spread out without disruption—maybe even right outside your hotel room. But that’s not all, the national park also includes Leeward Beach, Bight Beach, Bight Reef and Smith’s Reef. If everything doesn’t already sound too good to be true, wait until you see Chalk Sound National Park. You’ll kayak or paddleboard over water that looks too blue to be naturally possible. Natural wonders abound here, but man has made a few worthy additions, like Provo Golf Club, Casablanca Casino and plenty of spas and shopping. Known as the historic capital, Grand Turk is said to be where Christopher Columbus first landed in the New World and where astronaut John Glenn first touched land after his 1962 mission. The capital of Turks and Caicos, Cockburn Town, is located here, along with the only lighthouse in the country. It used to be the base of sea salt production for Turks and Caicos and you’ll still see donkeys and cows on the island today—remnants of that time. Beach resorts here are more budget-friendly than neighboring Provo, though options are limited. Like the rest of Turks and Caicos, diving and snorkeling here is unbelievable, with a few hotels just for divers. Columbus Landfall National Park is where you’ll likely spend most of your time. The large protected area has some of the island’s most stunning beaches, including Governor’s Beach, Cockburn Town Beach and SunRay Beach. Otherwise, try birdwatching in South Creek National Park or exploring the Turks and Caicos National Museum and the Salt House. North and Middle Caicos are perfect for the adventurous at heart. Connected by a long causeway, these two large islands effectively feel like one, with a population a fraction of the other islands’ (less than 2,000 residents). The area used to be the agriculture hub for Turks and Caicos, with some local farms still running today. On North Caicos you’ll find regular rainfall and an abundance of Pink Flamingos—especially at Flamingo Pond. White-sand beaches, nature reserves and newly-developed luxury resorts have put North Caicos on the map in recent years. Visit Three Mary Cays nature reserve for birdwatching and snorkeling, or visit Wade’s Green Plantation for a look into the island’s darker past. A trip to North Caicos wouldn’t be complete without swimming in the fine water of Pumpkin Bluff. The glassy water along limestone bluffs make this ethereal beach a must-see spot, though it’s frequently missed by travelers. Or, if you prefer staying above the water, head to Bottle Creek or East Bay Islands National Park for kayaking and paddleboarding. Funny enough, Middle Caicos is the largest island in Turks and Caicos and it has one of the smallest populations, at less than 300 people. It may be the most diverse island terrain wise, with limestone cliffs, swampland and of course gorgeous beachfront. Bambarra Beach offers ideal swimming conditions and a fine setting for small children, while the gem of the island is Mudjin Harbor—a picturesque, crescent-shaped beach with limestone cliffs and a cave, perfect for looking vs. swimming. The Harbor makes an ideal spot for exploring and taking in the views of turquoise waves crashing on shore at high tide. Natural wonders abound here, including Conch Bar Caves and Middle Caicos Ocean Hole—the deepest blue hole on earth. Venture to South Caicos or the Big South (a name picked up during its drug-smuggling days) if you want world-renowned fishing, diving and whale watching January through April. This island produces the majority of the island’s seafood—meaning delicious eats are easy to find—and used to be a major salt producer back in the day. Though it feels more remote than other islands, South Caicos has ample accommodations between the three resorts on the island: East Bay Resort, Sailrock Resort and Ocean & Beach Resort. Visiting the untouched beaches here takes more effort, as many are off the beaten path, but if you give the extra effort and exercise caution on the beaches (there are no lifeguards), it’s well worth the effort. Turks and Caicos has numerous other islands worth a visit, though you may not find much in the way of tourist facilities. Salt Cay is one such island. 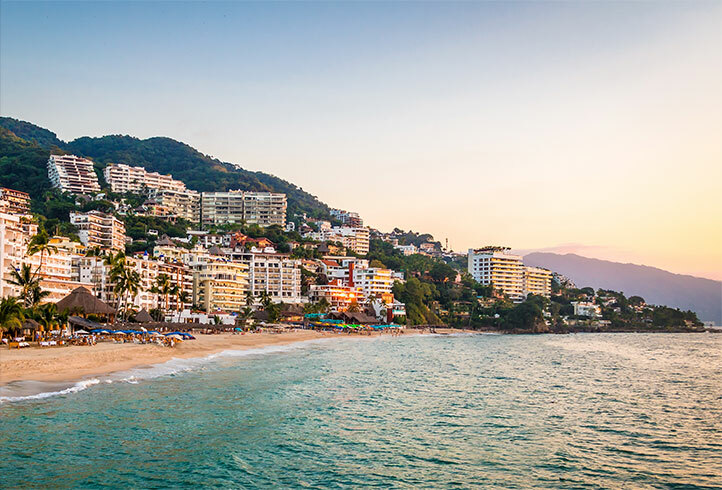 It’s weather-beaten and serene with spectacular beaches and a total of three restaurants. Ambergris Cay is a privately-owned island meant for a luxurious getaway along with Parrot Cay that has just one resort, aptly named Parrot Cay Resort.